Chevy Silverado and GMC Sierra will go their own way to compete with Ford F-150 | Car News, Reviews, & Pricing for New & Used Cars. FORT WAYNE, Ind. — When General Motors engineers were developing the 2019 Chevrolet Silverado and GMC Sierra pickup trucks, some of them joined public tours of Ford’s Dearborn, Mich., factory to watch aluminum-bodied F-Series trucks go down the assembly line. The redesign of the Ford F-Series trucks, launched in 2014, set a new standard for fuel economy and lightweight vehicle construction. But armed with stopwatches and trained eyes, the GM engineers believed they saw problems. “They had a real hard time getting those doors to fit,” Tim Herrick, the executive chief engineer for GM truck programs, told Reuters. His team did more intelligence gathering. They bought and tore apart Ford F-Series doors sold as repair parts. Their conclusion: GM could cut weight in its trucks for a lower cost using doors made of a combination of aluminum and high-strength steel that could be thinner than standard steel, shaving off kilograms in the process. These pounds-and-pennies decisions will have major implications in the highest-stakes game going in Detroit: dominance in the world’s most profitable vehicle market, the gasoline-fueled large pickup segment. What’s more, GM is banking on strong sales of overhauled 2019 Silverados and GMC Sierras to fund its push into automated and electric vehicles — a business many investors see as the auto industry’s long-term future. The risks are high given the hits automakers have taken from U.S. President Donald Trump’s trade policies. Rising aluminum prices spurred by Trump’s tariffs are driving up costs on the Ford’s F-Series, while rising steel and aluminum prices likewise drag on GM results. GM also has a significant risk should the United States, Mexico and Canada fail to agree on a new NAFTA trade deal, given GM trucks built at its Silao, Mexico, factory could face a 25 percent tariff if NAFTA collapses. Interviews with GM executives and a tour at its factory here in northwest Indiana provide a detailed look inside GM’s plan for the most important vehicles in its global lineup. These big pickups are everything Tesla’s Model 3 or Chevy’s Bolt electric car is not. The mostly steel body is bolted to the truck’s steel frame, rather than the one-piece body and frame electric vehicles. The majority of trucks will have a V-8 gasoline engine powering the rear wheels — like the classic GM cars of the 1950s. Some Silverados will have new four-cylinder engines, but there is no electric or hybrid offering as of now. The new Silverado — GM’s top-selling vehicle in the United States — is a technology achievement of a different kind. It is taller and has a longer wheelbase than its beefy predecessor. And it can more easily meet federal fuel efficiency rules. It is 450 pounds lighter, and its V-8 engine achieves 23 mile per gallon on the highway, rivaling smaller SUVs. Wall Street investors give Tesla and its electric vehicles a higher value than GM’s shares. But GM is betting that its core customers in the American heartland will keep paying premium prices — 27 percent of GM trucks sell for more than $55,000 — for these vehicles capable of hauling a trailer by day and serving as luxury car by night. Large pickups generate at least $17,000 per vehicle in pre-tax profit for GM, the company has indicated in disclosures to investors. GM executives told Reuters that with the new trucks, GM will have a big cost advantage they can use to chop at Ford’s leading market share. “We think we have thousands of dollars advantage (over Ford) just in the aluminum costs. It’s big,” said Herrick during a walk through the Fort Wayne plant, which began shipping the new Silverados and Sierras late last month. He said GM plans to use its Silverado cost advantage to put more safety or entertainment technology in the trucks, fund programs such as a promised fleet of electric cars and return money to shareholders. 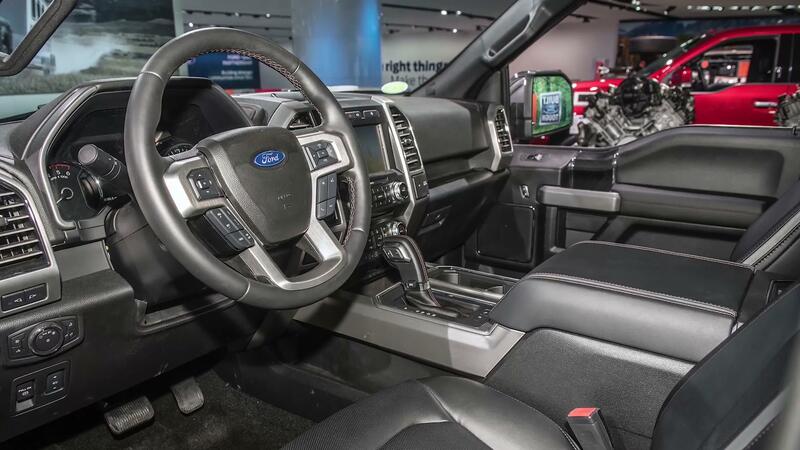 At Ford, truck marketing manager Todd Eckert said the company plans to stick to its game plan. For 41 years, the F-Series trucks have been the bestselling single model line in the United States. For the first half of this year, the F-Series — which ranges from the light-duty F-150 to medium-duty commercial trucks — has a 59,000-vehicle lead over the combined Chevrolet and GMC large pickups. “There’s always been competition in this segment, and there always will be,” Eckert said. Ford’s purchasing director Hau Thai-Tang at an investor conference on Wednesday called the F-Series pickup “one of our profit pillars,” and said Ford plans to increase the share of its 2018-2022 product development budget allocated to trucks and commercial vehicles to 29 percent from 24 percent in its prior 2015-2019 plan. 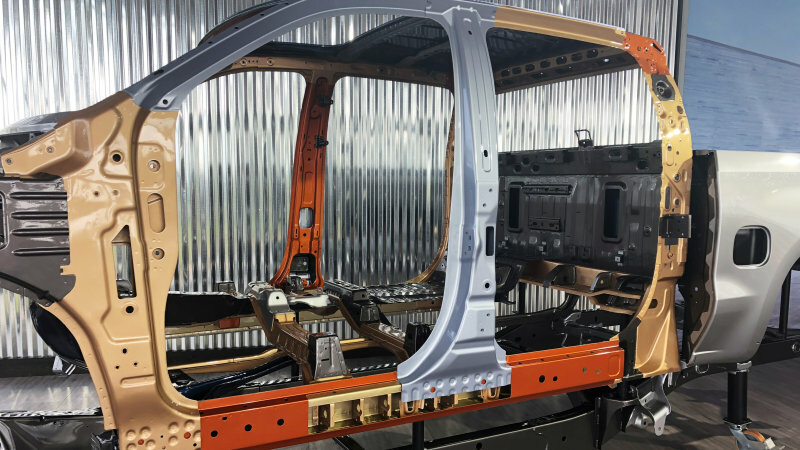 Ford said it cuts costs by recycling about 20 millions pounds of aluminum scrap every month in its operations, enough to build about 37,000 F-Series bodies. For decades, Ford and GM matched each other’s moves closely and built trucks that were similar in design, technology and capability. With the launch of GM’s new trucks, the rivals’ technology strategies have diverged. When Ford launched its new generation of F-Series trucks with all-aluminum body structures, it challenged rivals to find a better way to match the fuel efficiency and towing power achieved by using the lightweight metal and turbocharged six-cylinder engines. Rising pressure from the U.S. government to slash carbon dioxide emissions made Ford’s move look smart. The debate within GM over whether to follow Ford’s aluminum strategy “was a really hotly contested item for us,” said Herrick. He recalled skeptical questions when he sought approval from GM’s board for the billions of dollars required to launch the new Silverados at three factories. “Son, it really costs this much to build all those trucks?” the 58-year-old executive recalled being asked by a member of the board. Herrick, and Global Product Development chief Mark Reuss, said the shareholders’ billions would be better spent on what they call a “multi-material” strategy. The new Silverado and Sierra got close to the Ford truck’s weight using seven different grades of steel in the cab, aluminum hoods, door exterior panels and tailgates. Reuss pushed development of a novel carbon fiber plastic that will be molded to make load beds for certain high-priced GMC models — and perhaps be used in different ways in future GM models, Reuss said. Before GM’s direction was clear, a supplier to Ford sent Reuss a box of the rivets his competitor was using to fasten the F-Series aluminum body panels together, anticipating he’d be ordering them, too. “They’re still on my desk,” Reuss said in an interview. The combination of weight reduction and engine technology produces a rear-wheel-drive 2019 Silverado with a 5.3 liter V-8 and an eight-speed automatic transmission that averages 17 miles per gallon in the city and 23 on the highway, with a combined rating of 19 miles per gallon. Different versions of the truck get different mileage ratings, of course. A Ford F-150 with a 3.5 liter turbo six cylinder and optional equipment that boosts the payload to about 3,230 pounds is rated at 17 miles per gallon in the city, 21 on the highway and 19 combined, according to the government. An F-150 with a lighter payload rating of about 2,640 pounds is rated at 18 miles per gallon city, and 25 miles per gallon on the highway, according to the government. Chevrolet claims a payload of 2,190 pounds for a 2019 Silverado with a 5.3 liter V8 engine and an eight-speed transmission. In some crucial ways, GM is following Ford. GM previously could not keep pace with demand for crew-cab pickups — models with four, sedan-style doors. Ford used its lead in crew-cab design to develop luxury truck models, such as the F-450 Limited, that have sticker prices as high as $100,000. Average selling prices in the pickup segment are around $42,000 to $45,000 — higher than the industry overall vehicle average. GM has now dedicated two factories to building light-duty pickups — in Fort Wayne and Silao, Mexico – which have the flexibility to build “darn near 100 percent crew cabs if we wanted,” Herrick said. The GMC marketing division, meanwhile, is putting more emphasis on its Denali luxury truck brand, while Chevrolet will market more luxurious versions of the Silverado such as the frontier-themed High Country, which has leather seats and a Bose sound system. GM executives said they want to increase the company’s share of trucks sold at prices above $55,000 from the current 27 percent. John Bergstrom, who owns a multi-brand network of dealerships based in Neenah, Wis., said the new GM trucks should pull in buyers who currently don’t drive a pickup.